The holidays are coming! Gift buying has started, new recipes are being discovered, and big vacation plans are in the making because it’s that time of year again! 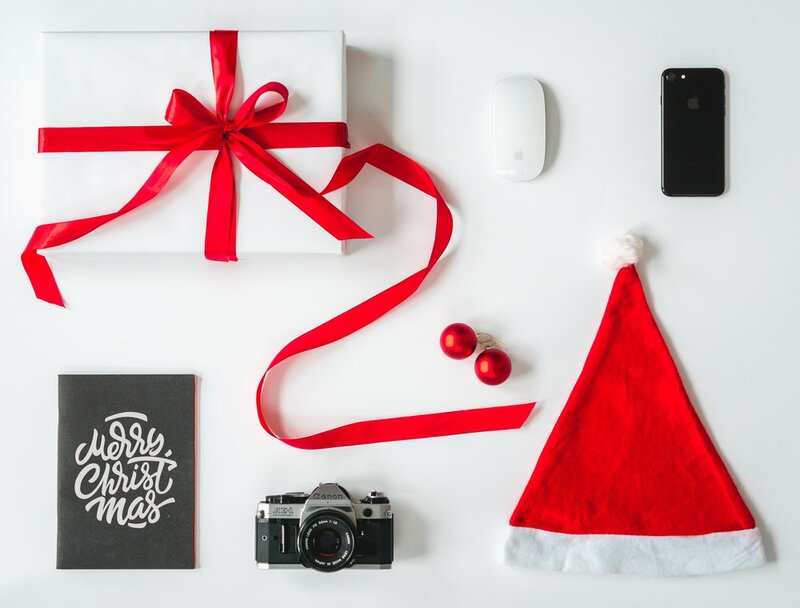 By the way, have you peeked on the internet lately to find out what’s trending this year for gift buying? As usual, technology gadgets are featured first. After all, they’re cool, fun and entertaining — perfect for unwrapping Christmas morning. We also included a link to a list of the best cameras in 2018 by Digital Camera World. Check them out here! While technology gifts are always a must, let’s stop for a second and think about what mom, grandma, and our aunts really want from us. They want to see YOU, your kids (their grandkids), your family (the whole family). YOU are what matters most to them, right? Gifts or not, they want you to be there with them during the holidays to share, love and re-connect! So what gifts do you buy mom and grandma? Photo books are a popular option. You already have all the memories tucked away on your phone, right? Simply take those pictures and order a photo book. Shutterfly offers this service using their mobile app. 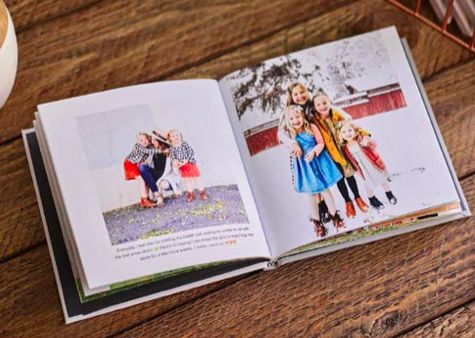 Photo Books are incredibly popular because they give mom and grandma an artifact of what matters most during the holidays— her family. TIP #1: Of course, they aren’t perfect. If you’re using photos mostly taken on your phone, then we recommend choosing smaller books and templates where the photo doesn’t expand larger than a 4 x 6 or 5 x 7. 10 x 10 layouts often require higher resolution images than your iPhone image can offer. And of course, you can’t include videos. So what do popular photo book companies offer on their online platforms? What do they look like? Perhaps you already know they exist, but you’re procrastinating even going onto these apps because they look so time consuming? Make a folder on your desktop of the best photos you want to print. Go onto your Instagram and Facebook accounts too. Pull them all into ONE folder. We know, photo book companies make it easy to pull from your social media accounts directly. But take it from us, it’s easier to have all your favs in ONE folder on your desktop. 3. When your folder is complete, now jump onto any photo books site you like! Tip #3: Don’t fall for the super low introductory prices. Most popular photo books end up costing between $70- $150 at the end — after you’ve included the must-have add-ons. Want to see a demo of Shutterfly’s online site? Check it out! And by the way, did you know we’re building a new kind of experience for your photos and your videos? At InMotion Albums, we’re building the world’s first interactive print, digital and video experience that is a luxe photo album with proprietary page detection technology and custom end-user software. Learn more at inmotionalbums.com. Join the waitlist today — thank you for your support! This article was written by Kristin Miller, Co-Founder of Colorado startup, InMotion Albums. InMotion was named a CES Innovation Awards Honoree in Digital Imaging in the same category as HP and Samsung, and was featured by the Consumer Technology Association (CTA)™ hosted startup-themed broadcast media tour.